Popular photo-sharing app Snapchat has settled a case with the US government in which it was accused of "deceiving users" by claiming images sent to contacts would later "disappear forever". As a result, the firm is entering into a 20-year privacy programme, monitored by an independent privacy professional. It could face fines if it fails to abide by the terms of the settlement with the Federal Trade Commission (FTC). FTC chairman Edith Ramirez said: "If a company markets privacy and security as key selling points in pitching its service to consumers, it is critical that it keep those promises." When the app was launched in 2011, its features were pitched towards the privacy-conscious. It said snaps sent to friends would "disappear forever" after a user-set time limit expired. However, there are numerous ways that a recipient can save the images indefinitely, including by using third-party apps. An FTC report on the issue said: "Such third-party apps have been downloaded millions of times. 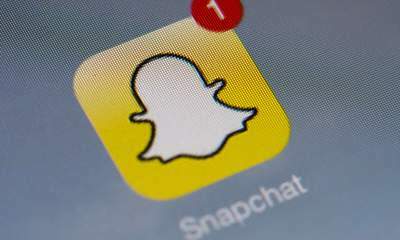 "Despite a security researcher warning the company about this possibility, the complaint alleges, Snapchat continued to misrepresent that the sender controls how long a recipient can view a snap." A spokesman added: "When we started building Snapchat, we were focused on developing a unique, fast, and fun way to communicate with photos. "We learned a lot during those early days. One of the ways we learned was by making mistakes, acknowledging them, and fixing them. "While we were focused on building, some things didn't get the attention they could have."